As we mark 100 years since the first women gained the right to vote, Greystoke Primary School participated in a series of lessons to mark UK Parliament Week. UK Parliament Week is a UK wide festival which took place between 12th and 17th November whose aims were to engage primary school children with Parliament and the democratic process. The week was also part of the UK Parliament’s Vote 100 programme celebrating equal voting rights and other milestones in the UK’s democratic history. The lessons included learning more about what democracy means, how a bill becomes a law after it has progressed through different stages in the House of Commons and the House of Lords. The children also created and made banners which related to a party of their own making and took to the village on a march in the manner of the historical marches of the suffragettes. The week culminated in a Vote 100 feast where the children created a feast in the colours of the suffragettes; green, white and purple including a biscuit model of The Houses of Parliament and Big Ben. The children in Key Stage Two had a fantastic day in London visiting the Houses of Parliament. We visited the 'Robing Room’, the House of Commons, House of Lords and the original Westminster Hall. We are all really looking forward to developing our knowledge in our upcoming Parliament Week (12- 16th November )where we will be exploring how the suffragettes changed womens right to vote. The children of Key Stage 2 had, earlier on in the month, experienced a wonderful day trip to London where they had the opportunity to have a fully guided tour of the Palace of Westminster, which included visiting the House of Commons, The House of Lords, the Queen’s Robing Room and the historically rich Westminster Hall. Participating in Parliament Week was a great way to bring all the learning from London into the classroom. 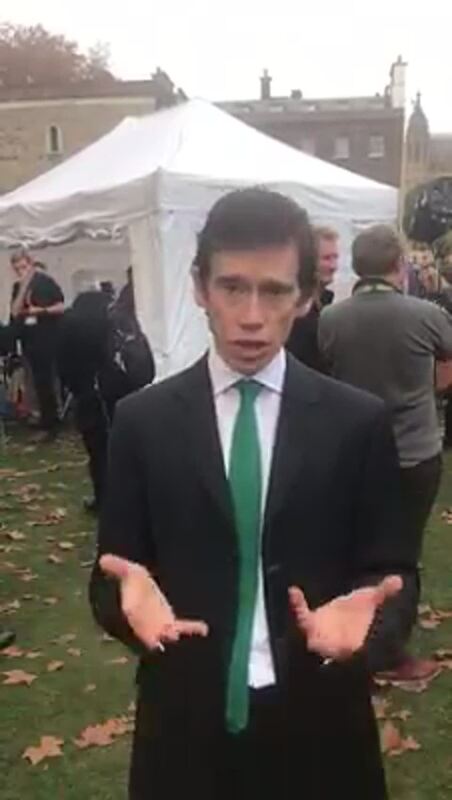 The children were also delighted to receive a personalised video from Rory Stewart, recorded on Parliament Green after the cabinet acceptance of the Government’s Brexit plan, wishing them well in their learning and talking about the incredibly busy and interesting events taking part in Parliament at this time. Parliament Week proved to be a wonderfully exciting way to celebrate Britain’s democratic history and an excellent way to encourage children to work towards a more equal society whilst engaging in a democratic process. To conclude 'Parliament Week', our local MP ,Rory Stewart, sent the children a video message. The children were really pleased to hear how democracy can be difficult but worthwhile-a great way to end this week's work. Behaviour and Antibullying Policies are drawn up together and verified with the School Council and rest of the school-then they are given to the Governing Body to approve and reinforced in Kidsafe sessions. Kidsafe training across the whole school: encourages children to reflect on their own feelings through group and 1-1 discussions, practical activities and scenarios suggested in the programme.